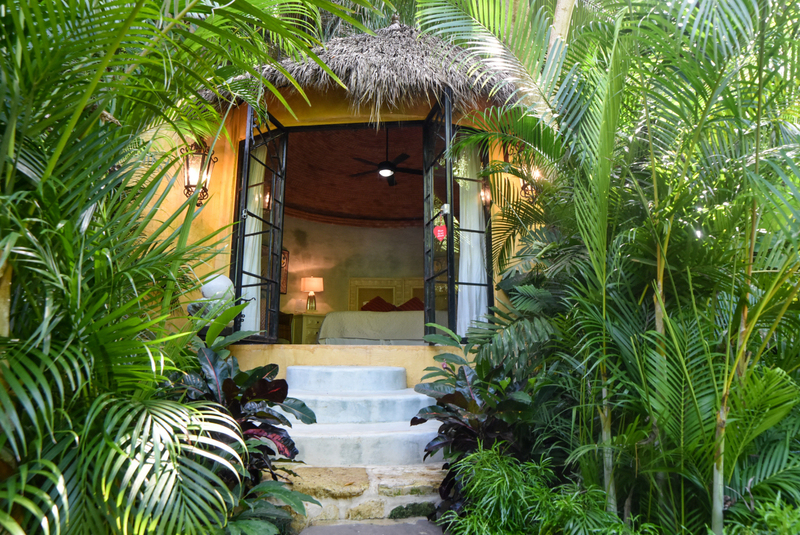 Villa Viva La Vida at Amor Boutique Hotel is a charming air-conditioned 1 bedroom located within our lush green Jardin de Besos (Kissing Garden). 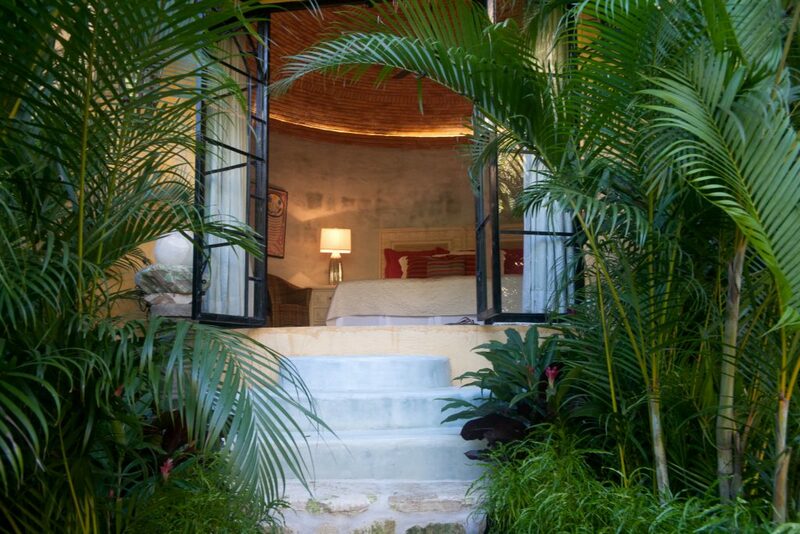 Step back in time and immerse yourself into our romantic, magical, Mexican villa. Enjoy the Mexican decor and feel completely secluded by drawing the white, romantic full-length curtains. 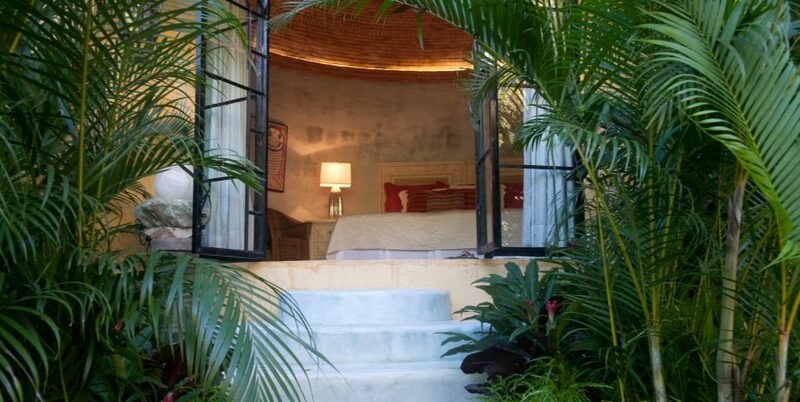 Open the double glass doors to enjoy the gorgeous garden, ocean breezes from your peaceful villa. Take a quick stroll to access Sayulita’s main beach, or meander 5 minutes into cute Sayulita for restaurants, shops, and nightlife. Our guests return to Sayulita year after year for its safe, charming, and fun vibe. Villa Viva La Vida is conveniently located near the resort’s pool, expansive lawn with myriad hammocks, and our Jungle Spa surrounded by wonderfully fragrant tropical flowers. Honeymooners or those celebrating something special love this villa as it offers privacy in a quiet and romantic setting. If you’re looking for an affordable vacation rental in Sayulita Mexico, Villa Viva La Vida is your spot!